If you want or need more information about a specific location, you can obtain that information by clicking on that station. Welcome! 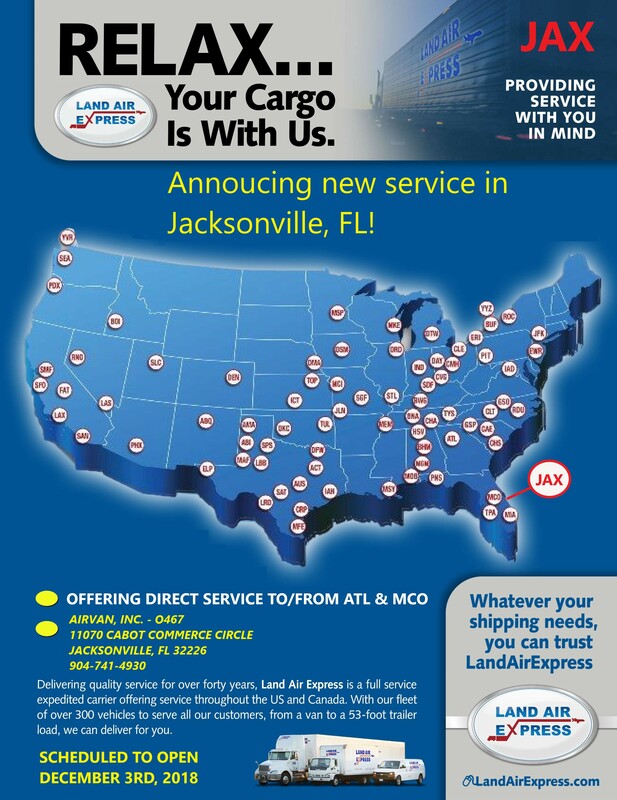 Delivering quality service for over forty years, Land Air Express is a full service expedited carrier now offering service throughout the US and Canada. With our fleet of over 300 vehicles to serve our customers, from a van to a 53-foot trailer load, we can deliver for you. We have a full compliment of services including guaranteed, standard, exclusive, same day, and hot shot services. Please contact your local representative for pricing and availability. Land Air Express also offers 2 man pickup and delivery, inside pickup and delivery, C.O.D. shipments, air ride equipment and lift gate services to meet your needs. Our goal is to provide our customers with all the advantages technology brings. Currently our customers can track their shipment information in real time. We offer full EDI capability, proof of delivery, tracing and document imaging to our customers. You can also view our schedules at your convenience.